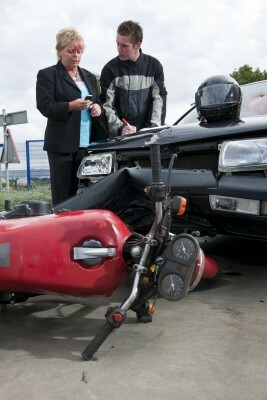 Being involved in a vehicular accident brings many forces into play. The damage to your vehicle will need to be repaired - if the repair costs exceed the market value of the vehicle, you want to obtain the highest possible amount for a replacement - your injuries may be serious, requiring not only immediate emergency medical treatment, but extended follow-up care - your injuries may also force you to miss work so that you sustain a loss of income - finally, the most important issue will be that of liability: if the other driver was at fault for having caused the accident, that driver's insurance company has an obligation to compensate you not only for all of the above "special damages" but for your "general damages", the pain and suffering caused by the injuries you sustained in the accident. Clearly, obtaining the services of an experienced personal injury attorney can make a world of difference in the outcome of such an injury case. The Law Offices of Jonathan Daks is dedicated to achieving the best possible results for each client.